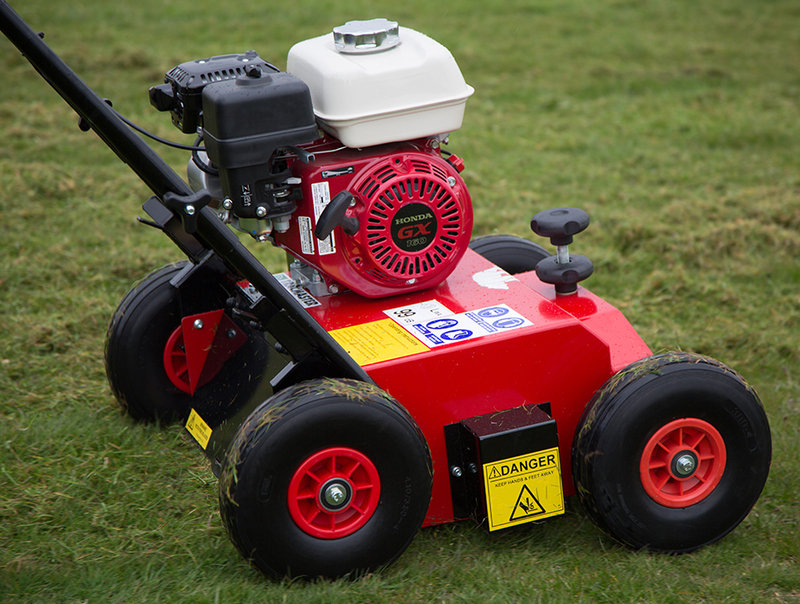 A Honda-powered lawn slitter from CAMON. 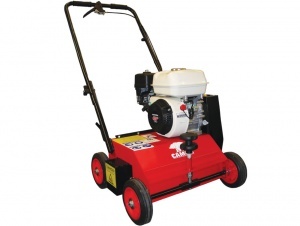 This robust lawn scarifier comes with an interchangeable, fixed-blade cartridge with 15 blades, and is capable of deep scarifying to boost drainage and germination when overseeding. Puncture-proof tyres add to the durable nature of this machine, while their slick tread also means they are easily cleaned after a job. You can adjust the working height of the LS42F with a simple locking knob, and the handlebars fold over the engine for straightforward storage. 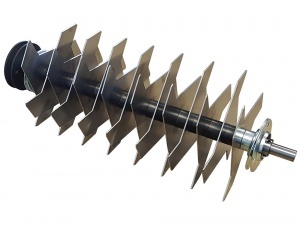 The floating front axle means the machine follows the contours of your lawn and avoids scalping, while operation in general is carried out with a single, 2-stage lever, for safe, efficient control. 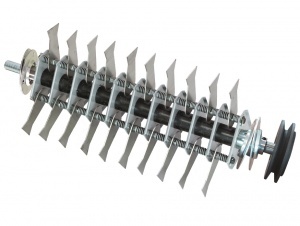 The fixed-blade cartridge in this machine uses 15 blades of 2 mm thickness, allowing for deep scarification that not only removes thatch but has advantages to soil drainage and germination when overseeding. 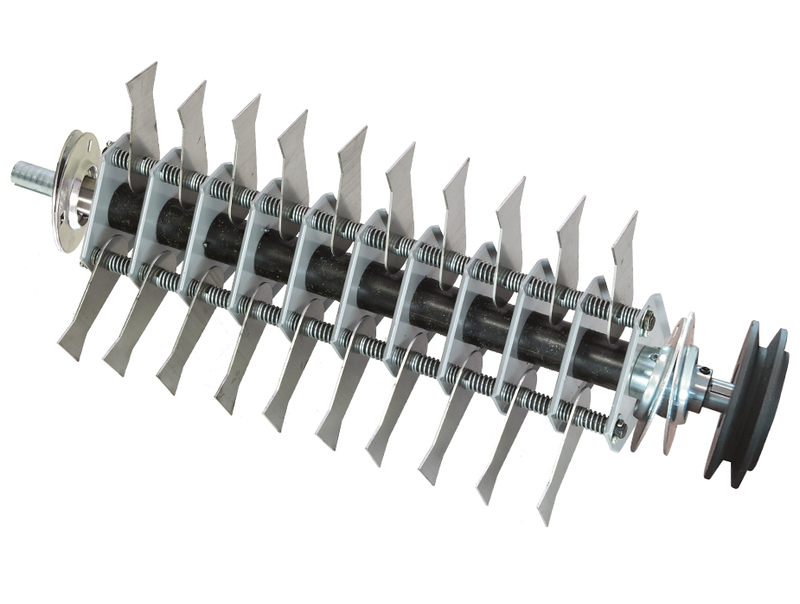 The cartridge can also be swapped out for either a spring rake or a free-swinging blade cartridge, available to purchase separately. Using a GX160 4.8hp engine from Honda means this machine benefits from powerful performance that you can rely on. 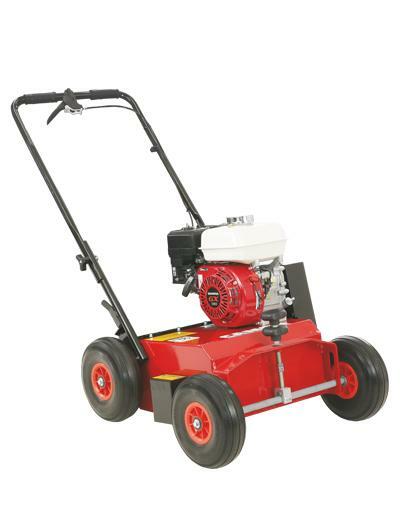 A working width of 42 cm / 17 inches means you can cover more of your lawn in less time, and a centrifugal clutch with a permanently tensioned belt providing drive to the blade prolongs belt life and ensures the machine doesn't operate while the engine is idle. Please note: Collection bag is sold separately. Comes with a 5 year conditional domestic warranty. 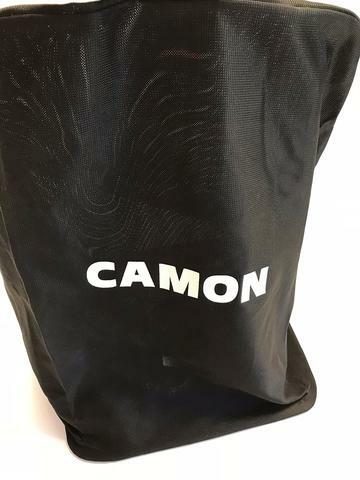 Allowing you to boost your efficiency while scarifying, this 45 litre collector bag designed for CAMON's LS42 is effortless to attach and remove from your machine and means you don't have to rake up or collect the debris. 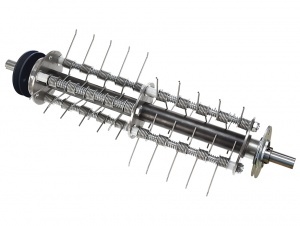 For efficient, powerful scarifying, this interchangeable cartridge for CAMON's LS14 and LS42 ranges has 30 free-swinging blades to remove large quantities of moss and thatch, quickly.